MANILA, Philippines – The Makati Regional Trial Court (RTC) Branch 148 junked the motion of the Department of Justice to arrest Senator Antonio Trillanes IV, this afternoon, October 22. Makati Regional Trial Court (RTC) Branch 148 releases decision on Senator Trillanes coup d’etat charges. Acting Prosecutor General Richard Fadullon confirmed that Makati court Judge Andres Soriano decided to dismiss the DOJ’s plea to arrest the senator for coup d'etat charges. In a 33-page resolution, Judge Soriano stated that the Court finds "no reason to disturb the doctrine of immutability of a final and executory judgment." However, Judge Soriano upheld the legality of Presidential Proclamation No. 572 which voided the amnesty granted to Trillanes. Last September 28, RTC Branch 148 deferred its decision to issue a warrant of arrest and travel ban for the non-bailable case of coup d’etat for Trillanes. The staunch critic of the Duterte administration also faced arrest warrant for rebellion charges before he posted a bail of P200,000 for his temporary liberty. 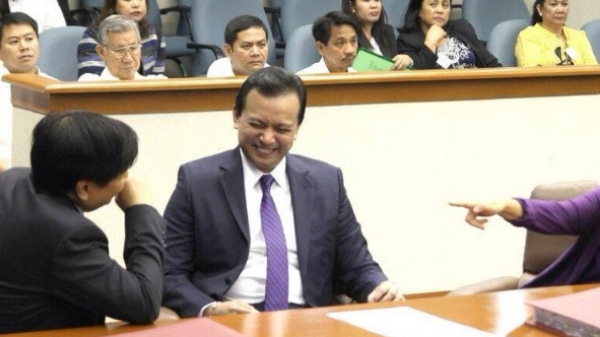 Trillanes has been vocal that he believes the President has a hand in his persecution. He earlier said about Duterte, “That’s very obvious. Ito talagang ginagamit niya na 'yung impluwensiya ng kaniyang opisina para baluktutin ang kailangan baluktutin para magawa at makamit ang kagustuhan niya."